Last summer I had Nanokeratin treatment on my hair at Vidal Sassoon. I was sceptical at the time as to whether it would have any noticeable effect on my hair - I have fine, long hair that air dries poker-straight. This is often to my frustration because I would love to have beautiful, thick curly hair - but the grass is always greener isn't it? So why would I want to go through a treatment to make my hair stay straighter? 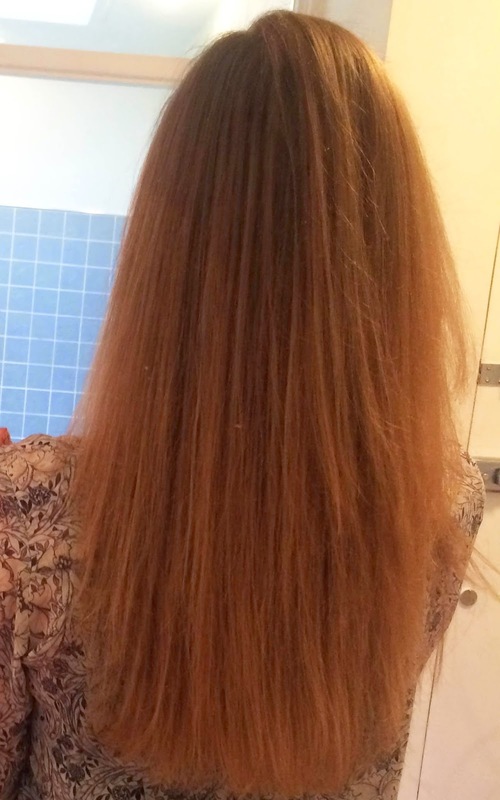 The process was rather lengthy - in the first appointment they had to wash my hair, then put the treatment in it and leave it for a while to set before blow drying it and straightening it (which smelled horrible and made me wonder what on earth they were doing to my hair). I then wasn't allowed to wash my hair for three days, or even tie it up - both of which were frankly quite tortuous! I had to go back for them to wash the treatment out. Overall I was actually pleasantly surprised by just how much I loved the result. 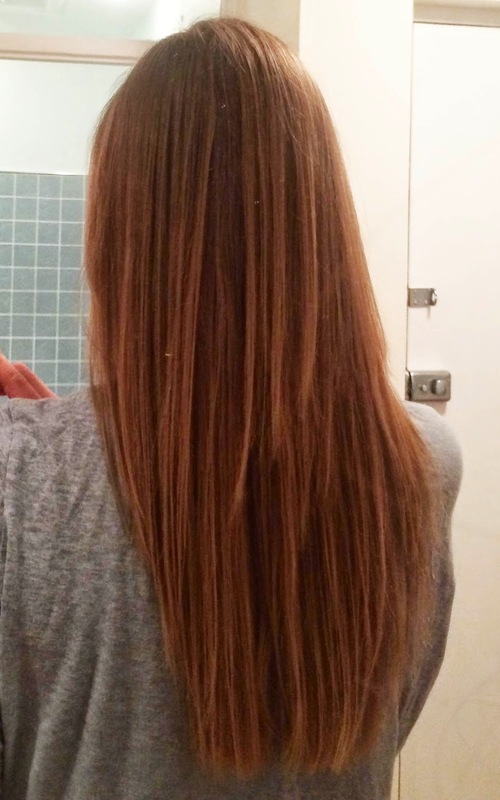 My hair was so soft and slinky and it really felt like I'd had it straightened after each wash. It looked great and was hassle-free (blow-drying was quicker and the hair much less flyaway afterwards). They said it would last 4 or so months, but that was complete rubbish (even though I religiously used the correct sulphate-free shampoo and conditioner they had given me)! 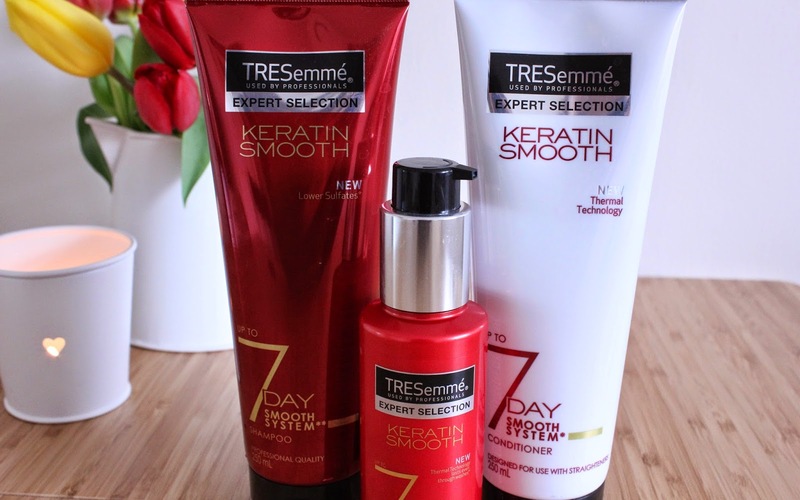 It lasted maybe 6 weeks - and for £200 that's more than I'm prepared to spend on my hair... which is why I was intrigued when I saw that Tresemme had brought out a Keratin Smooth Collection. 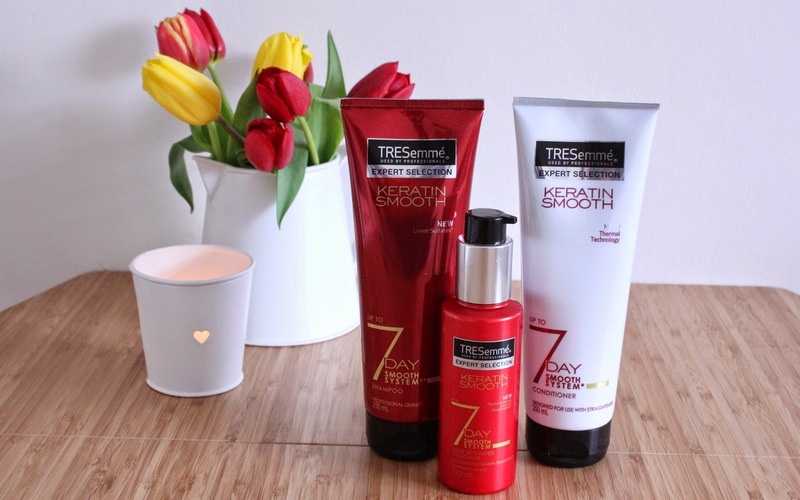 There are a number of products in the Tresemme Keratin Smooth range - but I just decided to try out the 7 Day Smooth Shampoo, Conditioner and Heat Activated Treatment. The process starts with washing your hair normally with the shampoo and conditioner, then once you've towel-dried your hair, it says to put 8-10 pumps of the product through the hair, avoiding the scalp, then comb through. Now, on my first use, I followed this to the number - but realised pretty quickly that it was way too much for my hair to cope with. Maybe if I had thicker hair, 8-10 pumps would be the right amount - but since then, I usually use about 3-4 pumps which is plenty. Then you blow dry your hair until completely dry. To activate the thermal technology, you straighten your hair, doing it in small sections and straightening each section 3-5 times. Sounds a bit of a lengthy process but this only needs to be done maybe once a week, depending on how often you wash your hair. It does recommend that you continue to use the shampoo and conditioner for subsequent washes to prolong the smoothness. And the result? Well, I am pleasantly surprised by this at-home range of products. They have carefully not called it Keratin Straight - because that's really not what it's meant to do. It's meant to smooth the hair and keep it sleek, which it totally does. It also really softens the hair and it feels amazing for a good couple of washes. It reckons that it should keep the effects of the thermal technology for up to four washes - which I think is a bit optimistic, but it certainly works for two washes. Here's a photo of my hair just after straightening and another photo of how it looked after I just blow-dried it after the next wash. I meant to get photos of how it looked after the second, third and fourth but I'm afraid I forgot and then didn't get around to starting the process all over again! Obviously I have a certain type of hair - I'd love to know how people with different hair types have got on with this range - if you're one of them, let me know in the comments below! I really like this range and I will definitely continue to use it - for a grand total of £18.97 this is a much cheaper option than a Nanokeratin treatment. Yes it isn't quite the same, but at a snip of the price I think it's a great range to try out at home and see if it works for you. Tresemme 7 Day Keratin Smooth Shampoo is £5.99/250ml, Conditioner is £5.99/250ml and Heat Activated Treatment is £6.99/120ml - but currently there's a 3 for 2 offer on in both Superdrug and Boots and online at www.boots.com and www.superdrug.com.